Finally, some snowman-building snow!! This is Hannah's first ever snowman with the requisite three parts (the bottom third was more noticeable before Eric shoveled the walk). 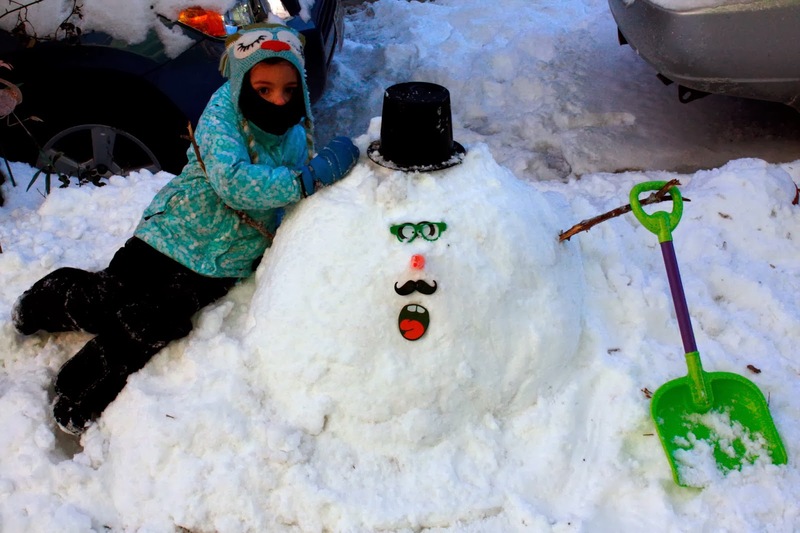 Usually our snowmen end up resembling Jabba the Hutt like this little blob guy we made a couple weeks ago. 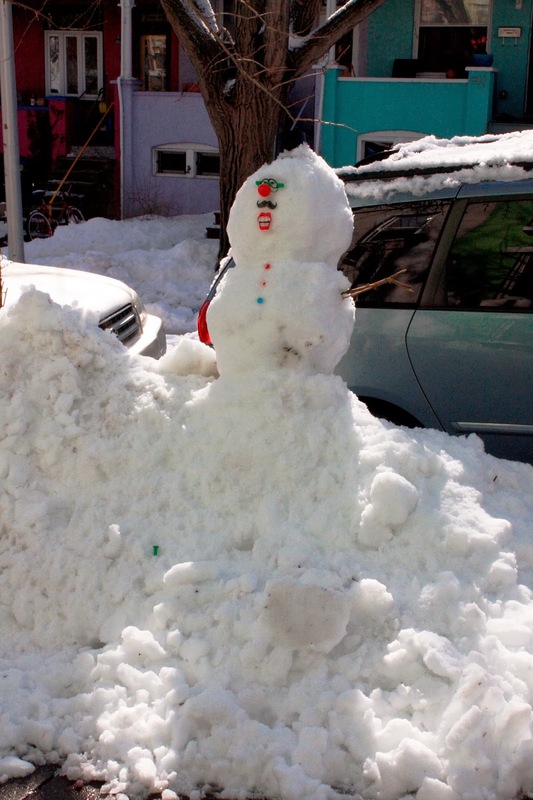 We do not get the award for tallest snowman in the 'hood though--that goes to someone on Elm Street near The Wine Source who built a snowman that is taller than the street signs (and may in fact have a street sign as its skeleton). It's pretty awe inspiring. 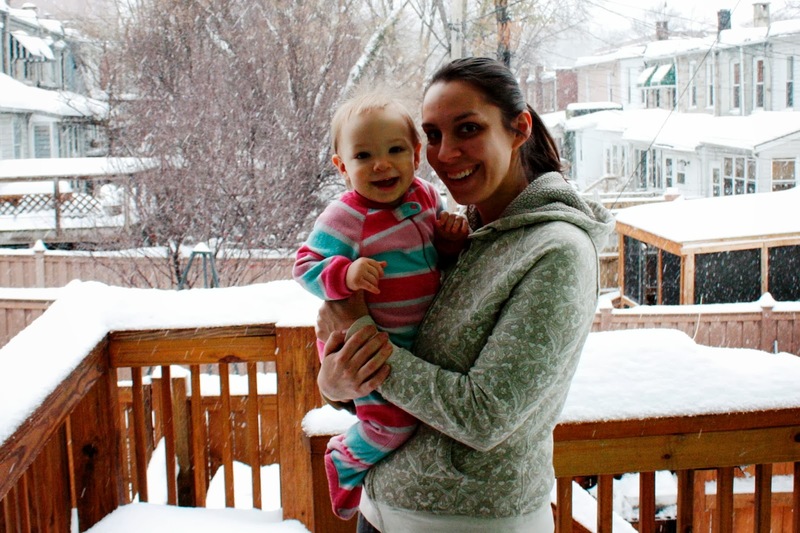 While we're on the subject of snow, have two more snow day pics courtesy of Eric. And yes, that is Jacob, our little boy, rockin' those sweet pink pajamas. 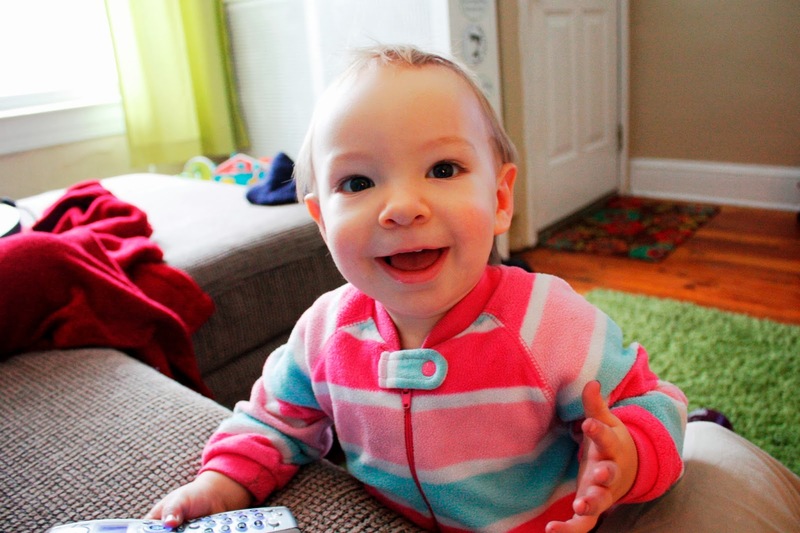 He has two pair of "boy" pajamas and about eight that were his sister's, and since I can't be bothered with dressing him most days, he has spent a great deal of this winter snuggly warm and pretty in pink pajamas. "How did pink get ghettoized as a girls' color," anyway?? !Jacob is going to lead the movement to take it back as a gender neutral color, him and the little boy around the corner who wears his sister's hand-me-down violet snow pants. Love these Hampden kids!